Properties in England average 4.5 out of 5 stars. Property 4: Stunning and peaceful Penthouse Apartment with Sea Views from all windows. 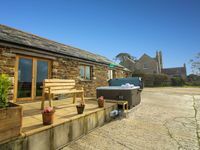 Property 8: Stunning coastal views! Property 10: Enjoy panoramic sea glimpses from this Penthouse apartment, less than a 1-minute stroll to shops. Property 18: Chestnut Apartment in Cotswold village of Bourton. Property 23: ‘Glorious Goodwood' & Central Chichester Location! Property 25: Stunning seaside bijou apartment completely renovated and refurbished. Property 27: Fantastic barn conversion with two round rooms! Property 34: Contemporary apartment with parking, lift and balcony, close to seafront & town. Property 38: Amazing barn conversion! Property 42: Lovely 2 bedroom peaceful Dorset apartment, horse stable hire possible to ! Property 43: An immaculately presented, bright, ground floor apartment, parking & small enclosed garden. Stunning Ground Floor Flat in Central London set on quiet residential street. Property 47: Stunning Ground Floor Flat in Central London set on quiet residential street. The apartment is centrally located and it&rsquo;s easy to access all parts of London from. The management was professional and always responded to any and all questions/concerns in a very timely manner. Yes, the stairs are a bit narrow but it&rsquo;s no different from any other London apartment of the same era and didn&rsquo;t bother us at all. Plus there&rsquo;s an amazing neighborhood pub in the next block (The Cow). The only issues that we encountered were that the bathroom door didn&rsquo;t lock or close completely and after taking a shower there was an odor for several minutes as if the water was sitting and wasn&rsquo;t draining quickly. Honestly, I&rsquo;d stay in this location again if I returned to London.